MEHERA SHAW TEXTILES PVT LTD. solving PATTERNMAKING SERVICES production and contracting needs. 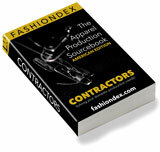 including designer support, fabric sourcing, sampling & CMT services. Compare MEHERA SHAW TEXTILES PVT LTD. with all 50 listings in PATTERNMAKING SERVICES.